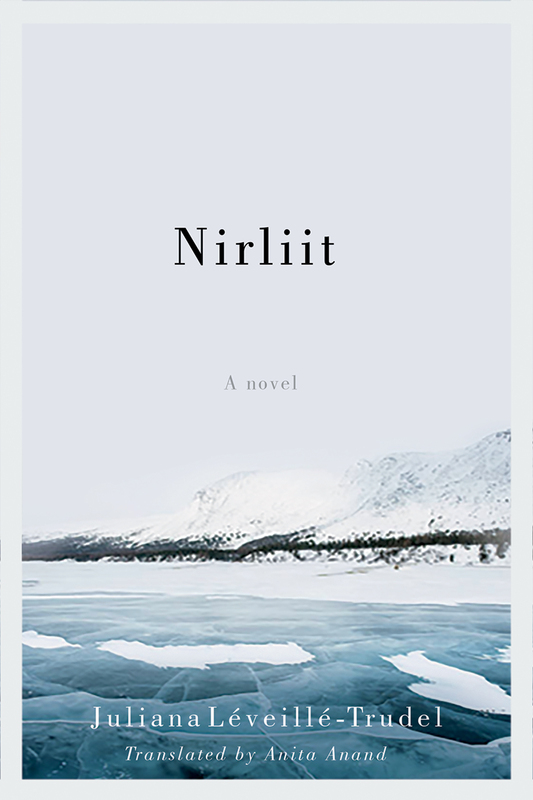 Nirliit / Juliana Léveillé-Trudel; translated from the French by Anita Anand. This unusual read is written by a Quebecoise woman who works summers in the Nunavik area of Northern Quebec. She has created a novel in two parts; the first is the narrator speaking to her lost friend Eva, who was murdered during the year the narrator was back down south. In the second she speaks to Eva's son Elijah as he makes his way as a young man without a mother. The narrator flies north (and south again) like the geese, nirliit. She includes a list of vocabulary at the beginning of the book, and many of these Inuttitut words are sprinkled throughout the text, giving it a stronger sense of place. It's a serious novel, with the narrator highlighting both the beauty of the isolated tundra and the social problems found in Salluit. The Inuit struggle to live meaningful lives in the face of addictions, racism and domestic violence, all realities arising from the lifestyle that they've been forced into through government decisions around resettlement and resource extraction in the past. But their resilience and perseverance is also noted, and the desire for education as a way out. Focusing in on Eva's life and the repercussions of her murder personalizes the narrative, rather than just being a set of generalizations. Her life, family and friendships resonate throughout the book, continuing on into the ways her son manages once she is gone, with his own relationships and children appearing. Characters are complicated and individual, making their own decisions independently; they are not caricatures. The story is based in the author's experiences, and so is told from an outsider's perspective. She acknowledges the problems she sees all around her, but in a compassionate way, in a style that seems to also acknowledge her own part in the situation as a Southerner and Canadian. It has an overtone of recognition and apology, while clearly revealing her deep love for the land and the community, her friend Eva in particular. It was not what I expected, but was a beautifully written and powerful exploration of the realities of life in the North for many isolated communities. I appreciated that she spoke from her own perspective and did not try to speak for the Inuit - this is her own story of life in Salluit as an outsider. A really different read, sombre and yet with glimpses of light. I think it's important for Canadians in particular to see and understand the lives that our governments have so strongly affected. Read an interview with the author at Quebec Reads to learn more about the inspiration behind this book.